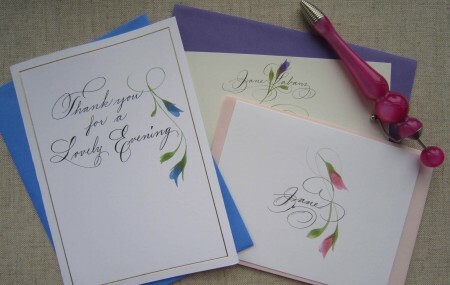 I remember Princess Diana commenting in an interview once, that she would feel obligated to stay up until the wee hours every night penning all of her thank you notes for the events and kindnesses that had occurred each day. Certainly we don’t want to put that kind of pressure on ourselves, without a staff to assist us, but, can’t you just imagine her in her boudoir in Buckingham Palace, poised over an ornate desk, with a cache of engraved stationery, and beautiful pens at hand? (We would be happy to help you gather such supplies!) All you need is a writing nook! As you conclude your day, slip on some Peter Fox satin slippers (our favorites) and a silky robe. Pretend you are a princess and start writing! One of Diana’s thank you notes raised $800 pounds for charity alone, so you never know what good may come of a single note! 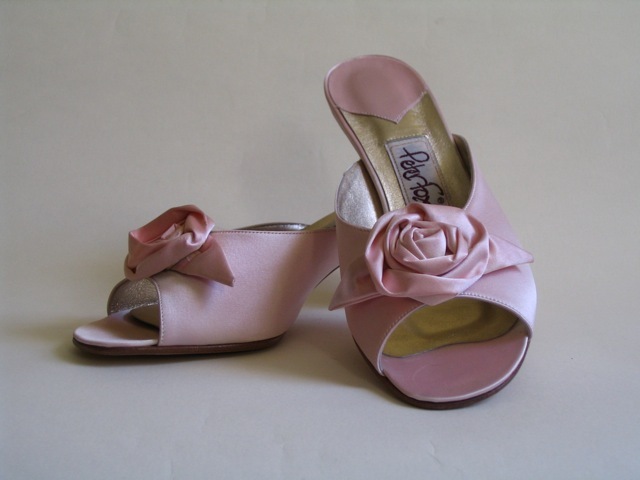 A Peter Fox satin slipper, fit for a princess, and you! I took to heart your post about sending Snail Mail. I don’t send cards and notes nearly enough. You have inspired me! I think I don’t send them more often, because I really want to take time to think about what I write. I am notorious for buying cards that sit in the bottom of my bag and never get written or sent! First of all, good job on your well meaning intentions! I find that I prefer to write notes at my desk where all my supplies are stashed. I could not live without a desk in my bedroom filled with enticing stationery supplies and fun and crazy pens. No bills allowed! Occasionally, I take pre-addressed and stamped notes and cards with me in my bag, as well, should I foresee an “out” day, with built in bits of waiting time here or there. The trick is, don’t put them in your bag if you don’t anticipate that kind of day! Keep them on your desk where you will see them ensnaring you! Secondly, if your down time doesn’t arrive as predicted on your assigned “out” day, take the cards back out of the bag and complete them that evening or at the end of the week. Easier said than done, but I’ll have more tips on Monday to inspire you! Thanks for writing, Barb! A selection of stationery, some personalized, and my crazy pen that inspires me to write at my writing desk.